directly under the Earths rotating axis. 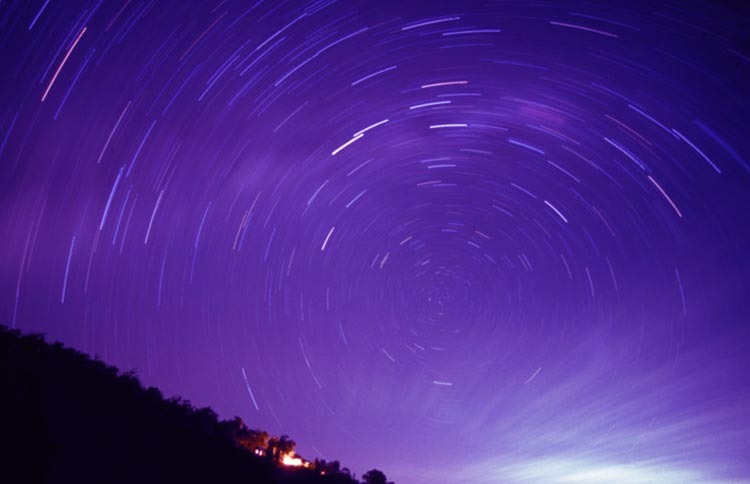 the stars drift with the Earth's rotation. those clouds would have been invisible otherwise.